This Richelieu handle pull features detailed decorative flourishes and a classic design. A refined and elegant addition to furniture and cabinetry. Nostalgia redefined. Experience old world charm, deco attitude or retro vibe with distinctive shapes and creative details. Classic, time-honoured designs. Indulge in strong curves, soft silhouettes, and distinctive styles of solid brass and other fine finishes. 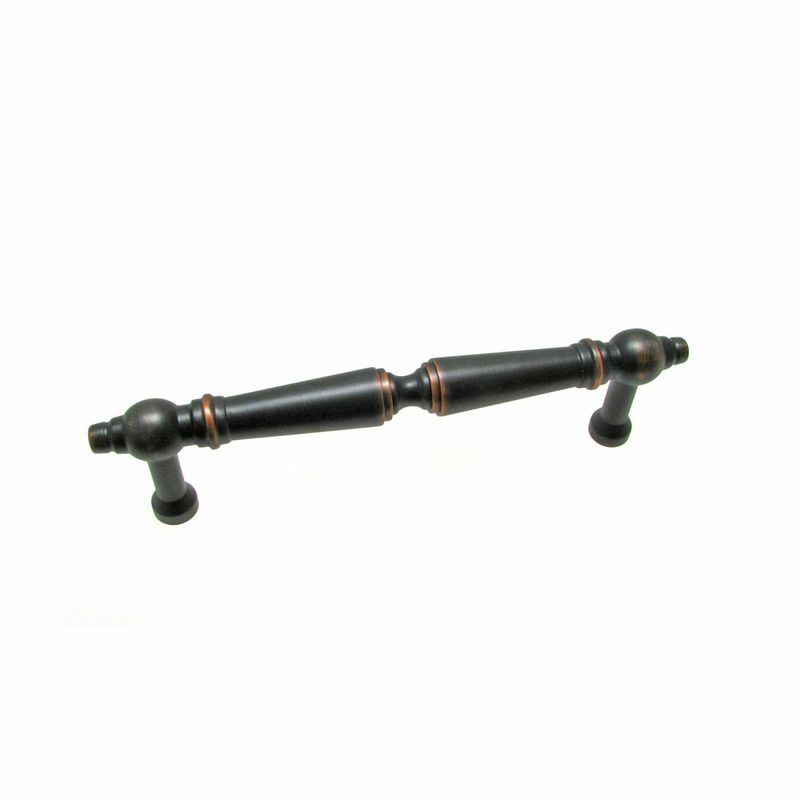 The Amerock BP19016ORB Bar Pulls 18-7/8in(480mm) CTC Pull is finished in Oil-Rubbed Bronze. Modern functionality meets straightforward styling. Simple. Bold. True. The sleek and sophisticated design of the Bar Pulls Collection makes a statement with clean lines and smooth textures. The Oil-Rubbed Bronze finish is a rich, dark brown old world finish with striking light and dark accents. The Liberty 3 in. Oil-Rubbed Bronze Spoon Foot Pull features casual design and an elegant finish to add classic style to your kitchen or bathroom cabinetry. Make a statement without having to say anything at all when this pull is displayed. Mounting hardware included for easy installation. Traditional Brass Pull 3 1/2 in (88.9 mm) CtoC - Brushed Oil-Rubbed Bronze - Brome Collection This Richelieu handle pull features detailed decorative flourishes and a classic design. A refined and elegant addition to furniture and cabinetry.